To produce the portrait I need a good photograph, sharply detailed and well lit (no back-light). Order a portrait of a animal and you will help an animal in need! You’re a pet-lover, so you care about your pet. Such a good life you wish to other pets also. Ordering a pet-portrait means that you will not only have a wonderful memento of your own pet, but you will be giving help and happiness to other animals too. 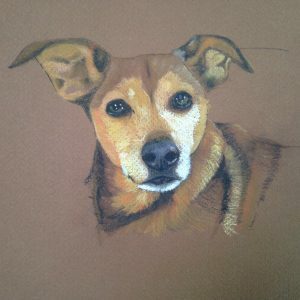 I create a portrait of your pet and I will donate half of the appropriate fee to a charity or organisation taking in or caring for lost, abandoned or abused animals. The volunteers there will be very great full. Born in the Netherlands and lived there until 2007, when I moved to France. I have two passions in life – portraiture and the care of animals. 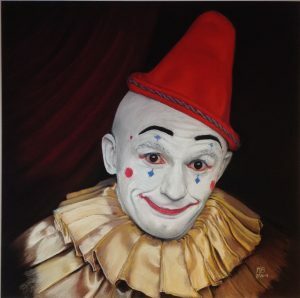 Self-taught, I have been drawing and painting portraits of people and animals for several years now. I work chiefly in Pastels and from photographes, so no sittings are required. Results and transfers will be published on this site.